Hanover, March 2018. Drivers of 4WD vehicles who need to make headway even in tenacious, muddy terrain, simply have to fit MT tyres (MT = mud traction). These tyres deliver high grip on rough and unpredictable routes, digging their way through sludge and mud. When UK-based magazine 'Land Rover Owner International' put two tyre models head-to-head, the Grabber X3 from General Tire came out on top (March 2018 issue). The LRO team tested 245/75 R 16 tires, using a Land Rover Discovery 2 Td5 as the test vehicle. The magazine’s experts had prepared a total of ten tests in order to pass judgment on the two test candidates. In the first two tests – braking on wet roads and road/tyre noise – the Grabber X3 immediately grabbed the lead. The tyre from the US 4x4 specialist also came out ahead of its fellow-American competitor when climbing out of muddy ruts, driving through a deep mudhole and tackling a muddy slope. 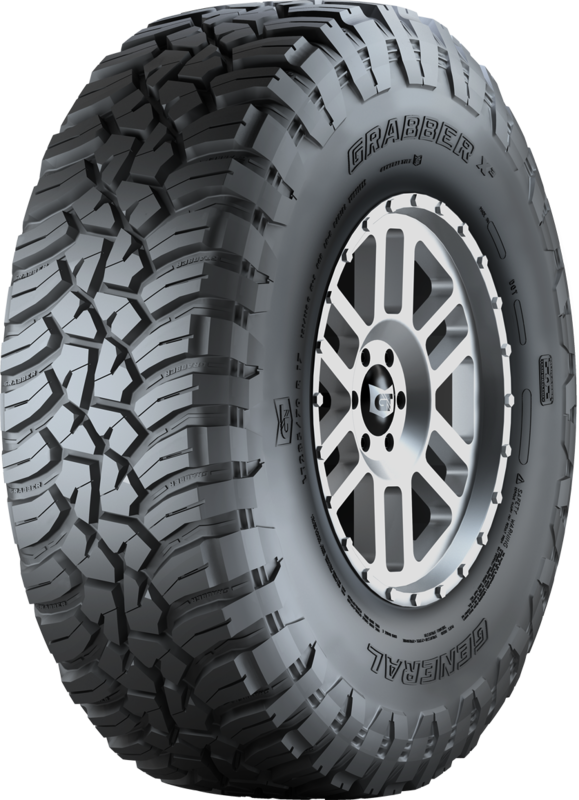 “The General Grabber X3 takes the overall honours through its sidewall grip for climbing out of ruts, and gripping and turning in gloopy mud. It’s also quieter at speed and delivers better braking on wet roads,” the experts wrote in their final assessment. General Tire manufactures different sizes of the mud-terrain tyre model for 15 to 19 inch rims. They are universally approved for speeds of up to 160 km/h.